Interview with Lindsay Holland: Why SAP Training? Posted on 12/6/2016 by Diana Ospina. 0 Comments. 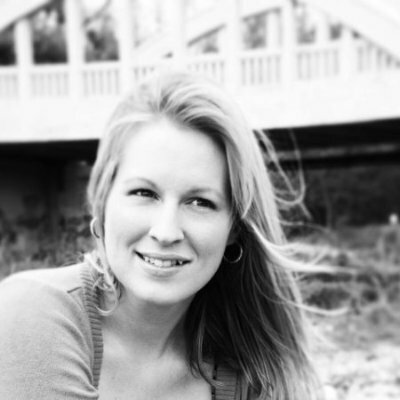 Lindsay Holland is currently a SAP Procurement Professional with OpenText with eight years of experience in diverse industries. She is currently engaged in global SAP implementation as P2P SME. Lindsay has given MMC some feedback about our courses from her vantage point as an SAP professional. Thank you for your time Lindsay. When considering your SAP training; did you consider any other training? Yes, we also had training directly from SAP. In my various roles, I have taken numerous courses directly from SAP such as Processes in Purchasing and Business Processes in Management Accounting. Thank you for sharing Lindsay and what was your need for SAP training now? As a core member of the SAP (S4 HANA) global implementation project, I am leading process re-engineering efforts. I am part of a team implementing SAP at my company. I advise on technical design and configuration, post-deployment issue identification, triage, and resolution, and lead data conversion and planning of cut-over activities. Very interesting and what made you decide on MMC’s Training this time around? We found this training to be more user friendly and easier to understand. 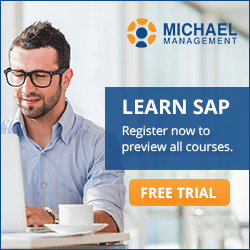 I have taken several courses with Michael Management including; Intermediate SAP Purchasing, Intermediate SAP Skills, SAP Outline Agreements, and SAP Material Master Data. Glad to hear you found our training to be user-friendly. We work very hard and we are glad to know it pays off. How has MMC’s training benefited you? It helps me to better understand our System Integration Consultants that are helping us with this project and thus I can make better decisions about future state processes. The training I receive from MMC courses helps me do my job better in the areas of procurement implementation that I am responsible for. Last but not least, Lindsay do you have any advice for students getting started with our SAP training? Yes, I would say that when you begin SAP training, the best way to get everything to sink in is to play around in SAP after each course on your own and practice what you have learned. Also, talking through how the things you've learned could be applied in your organization is also very helpful while doing your training. Great tips, I absolutely agree! Again, thank you so much for your time and input, we greatly appreciate it! Be like Lindsay and start your SAP training now.